The 2019 Asian Youth Chess Championship and Asian Youth Rapid and Blitz Championships, being held in Waskaduwa Citrus Hotel, Sri Lanka. Hon. MP Manusha Nanayakkara, Hon. 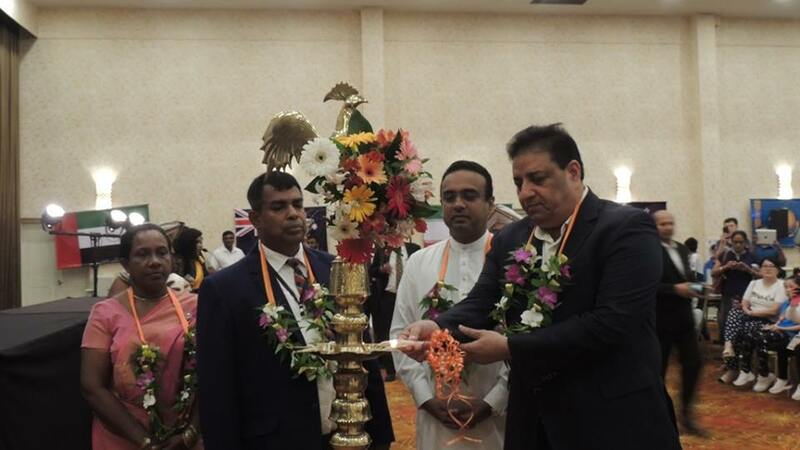 Bharat Singh Chauhan, Chairman FIDE Technical Commission, Chairman of the Commonwealth Chess Association, Deputy President Asian Chess Federation and Mr. Lakshman Wijesuriya Vice presidents of the Asian Chess Federation, General Secretary of the Commonwealth Chess Association and Tournament Secretary of Chess Federation of Sri Lanka and other distinguished guests were present at the Opening Ceremony. Over 550 chess players from 23 Asian countries will take part in the competition until April 9, 2019. 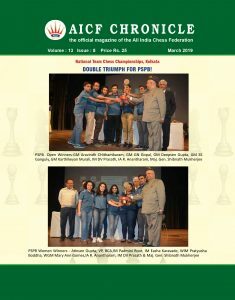 In recent years India has all but made the Asian Youth Chess Championships its own and this year was no different as the Indian contingent has won a total of three Gold, eight Silver and eight Bronze in Rapid and Blitz leg of the championship. At the end of the 6th round of the Classical leg of Asian Youth Chess Championship, Sreeshwan of Under 14 boys is in sole lead with 5.5 points and Sankalp Gupta and Moksh Amit Doshi are in Joint lead with 5 points in under 16 boys. In Under 18 boys Mitrabha Guha is in Joint lead with 5 points. Other Indian players points position is given below. Lakshna Subramanian, Aishani Pathak, Kolagatla Alana Meenakshi, Advika Sarupria and Daksha Rudra with 4 points. Anaisha Pinkesh Nahar and Anjana A with 3 points. Tanishka Jain with 2 points. Aswinika Mani and Shefali with 4.5 points. Arushi Srichandran, Shriyana S Mallya, Deebapriya Manna and Indira Priyadharshini with 4 points. Sneha Halder with 3.5 points. Rajanya Dutta with 5 points. Ratnapriya with 4.5 points. Sinthia Sarkar and Tejaswi R with 3.5 points. Anupam Sreekumar and Sai Mahati with 3 points. Dhyana Patel 4.5 points. Kirti Mayur Patel and Tanvi Vasudev Hadkonkar with 3.5 points. 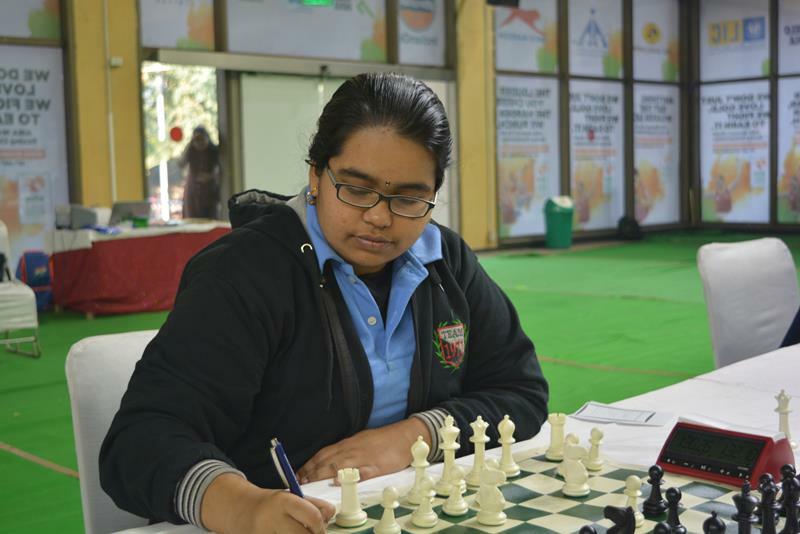 Niyata Jain, Bristy Mukherjee with 4.5 points closely following leader with 5 points and Bommini Mounika Akshaya with 4 points. Harshini A with 5 points. Jyotsna and Priyanka with 4 points. Yuti Mayur Patel and Makhija Aashna 3.5 points. Jaivardhan Raj and Rosh Jain with 5 points. Amogh Bisht and Aman George Thomas, Ethan Vaz, Vivaan Vijay Sarogi and Satvik Adiga with 4 points and Ayushman Mohanty with 3.5 points. Shan Purvan with 2 points. Daakshin Arun and Bharadia Yash with 4.5 points. Mayank Chakraborty, Raghu Ram Reddy Seelam, Adireddy Arjun and Rajveer Pinkesh Nahar with 4 points and Illamparithi A R with 3.5 points. Bagwe Gaurang and Dev Shah with 5 points. Mahendra Teja Mekala with 4.5 points. Sahil Dey and Sahib Singh with 3.5 points and Ayush Bhattacharjee with 3 points. Sreeshwan Maralakshikari with 55 points. Aditya Varun Gampa, Adireddy Tarun and Srikrishnan with 3.5 points. Sankalp Gupta and Moksh Amit Doshi with 5 points. Kushagra Mohan with 4.5 points. Ajay Karthikeyan and Usthab with 3.5 points. Mitrabha Guha with 5 points. Krishnater Kushager with 4.5 points. Vatsal Singhania and Panesar Vedant with 4 points. Om Karola and Vaibhav Jayant Raut with 3.5 points and Manish Anto Christiano with 3 points.